The hardest part of running a business is starting it. It takes courage to put your work (and yourself) out there and say: this is who I am, and this is what I’ve created! You know what they say about courage, right? Courageous people aren’t without fear – they feel the fear, but they do the scary thing anyway. You might find yourself looking at me, or anyone else who’s been running a creative business for a while – who has attained some modicum of ‘success’ – and you may think ‘sure, it’s easy for you to put your work and yourself out there – you know you’re going to kill it!’. The truth is far different. Every single one of us feels fear and uncertainty – no matter what stage we’re at in our business and creative journey. Yes, it might lessen somewhat, once you’ve had a number of wins (and plenty of losses, let me assure you!) but that self-doubt never goes away totally. I think that’s what keeps us real – what keeps us honest, and driven, and vital. And that’s what today’s podcast is all about. 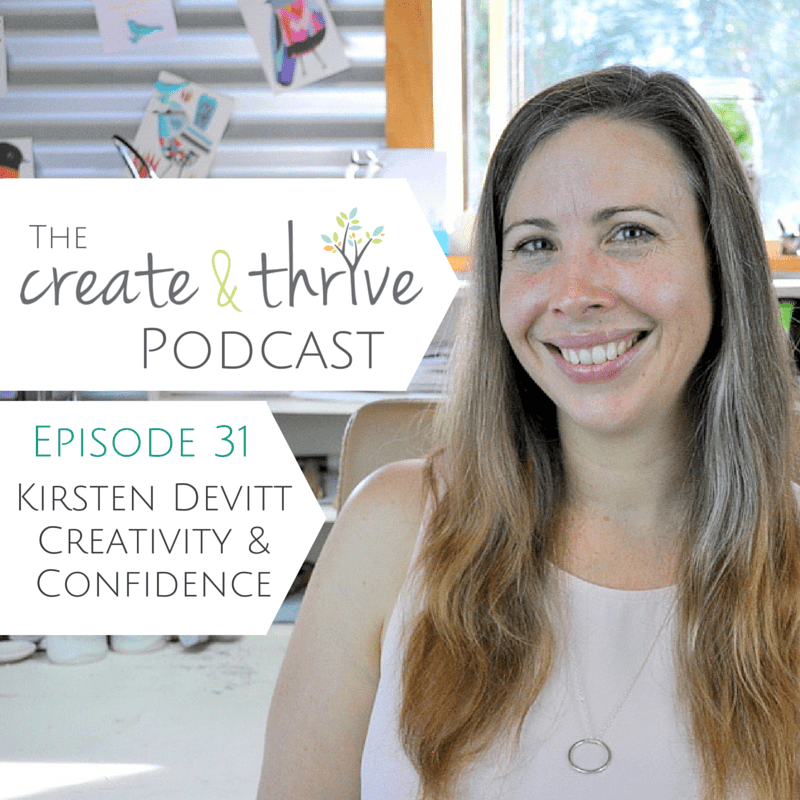 I sit down to chat with my friend, colleague, and all-around awesome lady Kirsten Devitt of Each To Own about her business and creative journey – about creativity and courage – about fear and self-doubt. We delve deep into the murk of our minds, and we touch on some profound truths about creativity and fear. Oh, and we laugh a lot, too. My gal K is one funny lady! If you’ve ever thought ‘my work isn’t good enough’ – or, even ‘I’m not ready or good enough’ – this episode is for you. As creative entrepreneurs we all have face that nagging worry of ‘are we good enough’ and ‘can I do this??’. Sharing your work, and in essence yourself, with the world is is terrifying. Don’t feel that you can’t open your shop because it isn’t perfect. Share it with the world, and revise along the way. You’ll make mistakes along the way, it’s part of the process. There will be times you graduate to the ‘next level’ of success. Celebrate those moments! Also, celebrate those around you. Don’t expect anything back. Just be nice, give someone the opportunity to savour some positive feedback. Take the time to show customers you care. Handwritten notes will go a long way. Take the time to create personal connections with customers. Ignore the pressure social media puts on you to create and cull the perfect life. Be genuine in your social media interactions. People can tell if you aren’t be authentic. Displaying your life and brand as totally without flaws will not allow for people to feel connected to you. Strive to stay positive in your social media presence. Without being phoney, create a nice pleasant environment for fans and customers. Don’t be afraid to ask people for help when you need it! 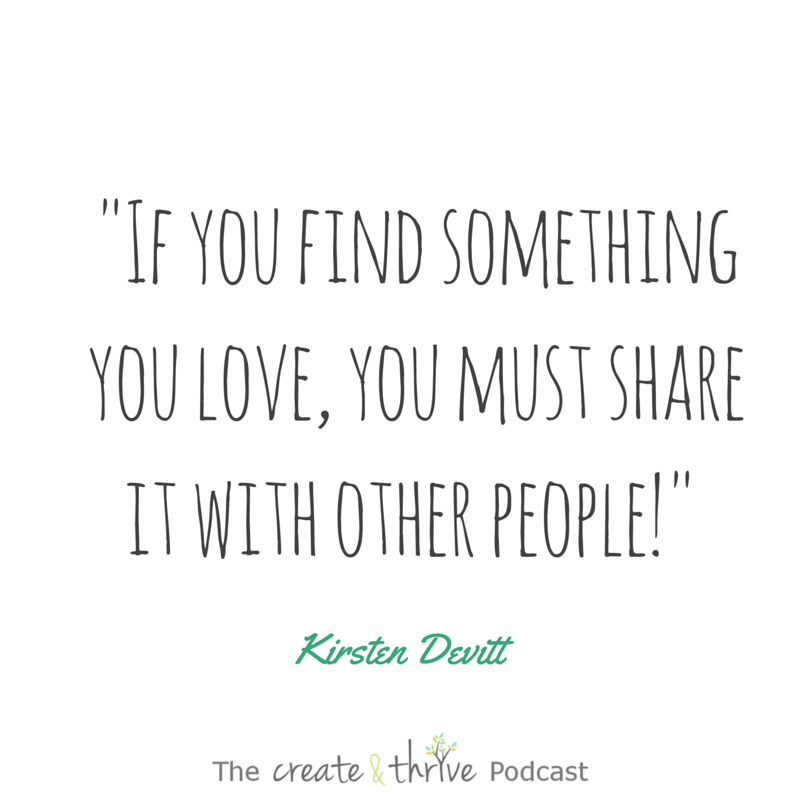 To see more of Kirsten’s amazing work visit her website or Instagram. How do you maintain confidence as a creative in a world that likes to compare?